And, while we know she wants to make America “the clean energy super power of the 21st century,” finding her position on wind energy is not so obvious. Perhaps that is because, as more and more people learn more about its impacts on their lives, its support continues to wane. Pragmatic environmentalists find it hard to ignore the millions of birds that are killed by the giant spinning blades—including bald and golden eagles, as well as massive numbers of bats (which are so important for insect control) that are being slaughtered. Some have even “successfully sued to stop wind farm construction,” reports Investor’s Business Daily. More and more communities are saying: “We don’t want wind turbines here.” For example, in Ohio, a wind project was “downed” when the Logan County Commissioners voted unanimously to reject EverPower’s request for a payment in lieu of taxes to build 18 wind turbines—though since then, the developer is taking another bite at the project, and the locals are furious. In Michigan, the entire Lincoln Township Board opposes a plan from DTE Energy to bring 50 to 70 more wind turbines to the community—despite the fact that four of the five members would profit from easement agreements they’d previously signed. So, if your area hasn’t been faced with the construction of the detrimental and dangerous turbines, you can expect that it will be—even if you live in an area not known to be windy. That’s the bad news. The good news is the more wind turbines spring up, the more opposition they receive—and, therefore, the more tools there are available to help break the next wind project. Martis’ equitable wind zoning advocacy has been extremely effective. In his home state of Michigan, wind has been on the ballot at the Township level 11 times since 2009 and has never won. In Argyle Township, in Sanilac County, Invenergy spent $164,000 in campaign funds in the 36-square-mile township, yet the people prevailed at the ballot box. Two communities in Vermont have industrial wind on the ballot on November 8, and it is playing a big role in the state’s gubernatorial race where many Democrats are pledging to vote for the Republican candidate, who opposes more wind energy development. There, the foreign developer is essentially offering a bribe to the voters to approve the project. Martis uses a concept he calls “trespass zoning”—which he says is a “de facto subsidy extracted from neighbors without any compensation.” Because the definition of trespassing is “to enter the owner’s land or property without permission,” Martis argues that wind turbine setbacks that cross the property line and go to the dwelling allow the externalities of wind development—noise pollution, turbine rotor failure and its attendant debris field, property value loss, and visual blight—to trespass. Droz agrees that zoning is important—as are regulations. He believes that since an industrial wind project is something you may have to live with for more than 20 years, it seems wise to carefully, objectively, and thoughtfully investigate the matter ahead of time. Mary Kay Barton, a citizen activist from New York State, began writing about the industrial wind issue more than a dozen years ago when her home area in western New York was targeted by industrial wind developers. Wyoming County was slated to have more than 2,000 industrial wind turbines strewn throughout its 16 Townships. Through his free citizen advocacy service, Alliance for Wise Energy Decisions, Droz tries to make it easier for communities to succeed when dealing with industrial wind energy by learning lessons from some of the other 250 communities—including those near Martis, Barton, and Rosenquist—that have had to deal with it. Droz, Martis, Barton, and Rosenquist are just four of the many citizen advocates that have had to become experts on the adverse impacts of wind energy—which provides negligible benefits while raising taxes and electricity rates. Because of their experiences, many are willing to help those who are just now being faced with the threat. Because I’ve frequently written on wind energy and the favorable tax and regulatory treatment it receives, I often have people reaching out to me for help—but I am not the expert, just the messenger. These folks are dealing with it day in and day out. Barton explains: “My town was able to stop the ludicrous siting of these environmentally destructive facilities by enacting a citizen-protective law back in 2007. Since then however, Governor Cuomo enacted what I refer to as his ‘Power-Grab NY Act,’ which stripped ‘Home Rule’ from New York State communities and placed the decision-making process regarding energy-generation facilities above 25 MW (that translates: industrial wind factories) in the hands of five unelected Albany bureaucrats. 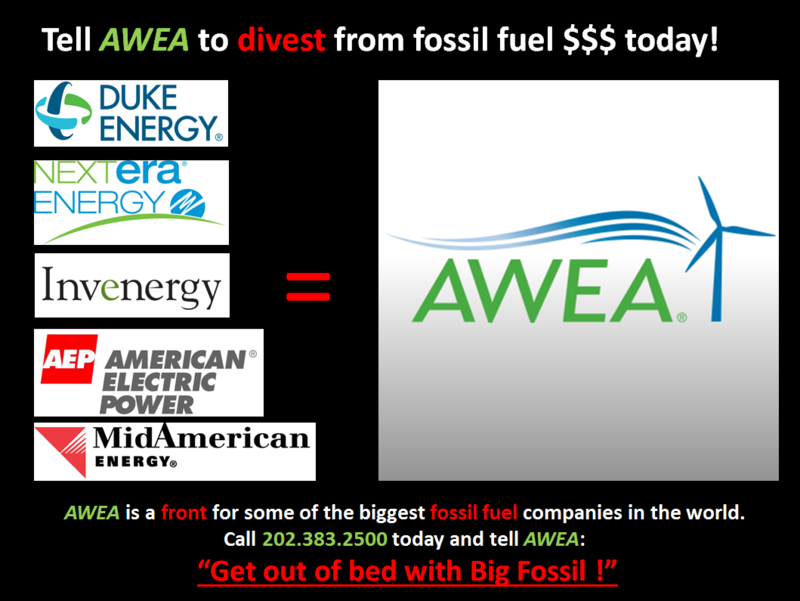 So Big Fossil wants you to be dependent on dirty, expensive energy. Isn’t that precious? Please explain how load and demand balance can be made with green energy. If you think batteries, what sort deal in meg watts have you in mind? Will we need to live like Red Indians in your future? My last post featured a commentary by renewable energy expert Prof. Fritz Vahrenholt, who forcefully conveyed the folly of Germany’s mad rush into renewable energy, and the country’s hysterical obsession with its suicidal fast-track shutdown of its stable base-electric-power generation.